Today, I’m going to introduce our course on literature by asking you: Why do we study literature? 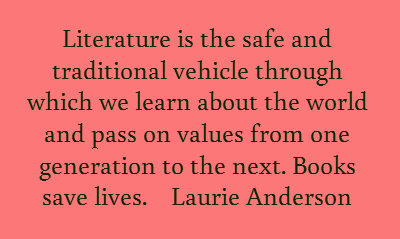 Which is closely linked to the question What is literature? Why don’t we study the telephone directory? I guess you’ve dealt with literary texts for years now but every time I ask my students the above question I see, from their reactions, that somehow it comes as unexpected and it puzzles them. What is our teacher talking about? Of course we study Shakespeare and not the telephone directory but … WHY? 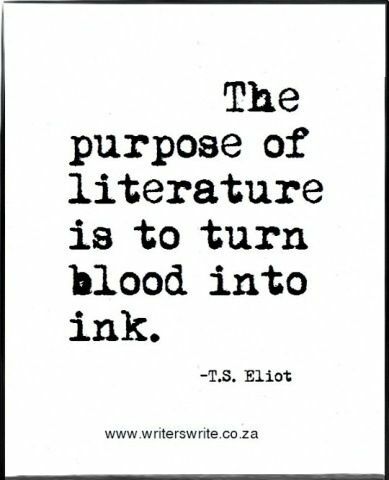 Well, I’m pasting here and on the walls some definitions of Literature and I would like you to choose ONE that suits you & you like best. If a nation’s LITERATURE declines, the nation atrophies and decays. So you may ask what is the use of studying the world of imagination where anything is possible and anything can be assumed (immaginato), where there are no rights or wrongs and all arguments are equally good. One of the most obvious uses, I think, is the encouragement of tolerance. Northrop Frye, The Educated imagination. Here’s a video I found you may like, created by a student like you. Now look at the following lines of a poem we’ll read in class without telling you who wrote it and when. Who do you think is the writer? A contemporary poet? A poet from the past? A young man/woman or a mature one. Why? Does it communicate a universal truth to you? 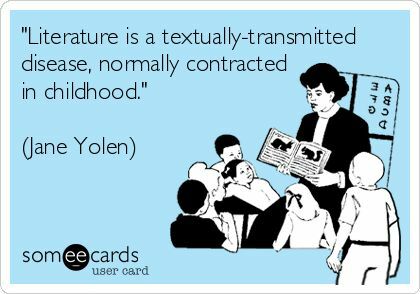 Can you consider it literature? Like Dante who said “Nel mezzo del cammin di nostra vita, mi ritrovai per una selva oscura,ché la diritta via era smarrita. (When I had journeyed half of our life’s way,I found myself within a shadowed forest,for I had lost the path that does not stray. Canto I, lines 1-3) couldn’t he just write When I was 35? Am I confusing you? I guess so because even today there’s a huge debate on what literature is. Since it is very difficult to define what literature is, critics speak of LITERARINESS: deviation from conventional daily language. Meaning is conveyed through Sounds and often has to be inferred. That’s why you may sometimes find it difficult to understand and decode it. Nevertheless the SOUND of poetry, like the music of a song, helps you grasp some meaning. Even if you don’t understand French I’m sure you will “feel” the atmosphere and the general tone of the following line. The same happens in music. For instance in rap music or ballads. HOW/THE WAY IT IS SAID. to acquire a certain knowledge of the social & historical context of some authors & be able to compare them to the Italian literature. “So you may ask what is the use of studying the world of imagination where anything is possible and anything can be assumed, where there are no rights or wrongs and all arguments are equally good. One of the most obviuos uses, I think, is the encouragement of tolerance. “Northrop Frye, The Educated imagination. Do you agree with the final statement of the following video? TASK 1) WRITE YOUR COMMENT BELOW: why do you want to study literature and what are your expectations for our course on Literature in English? What’s your favourite book ever? Cannot wait to read your comments. This entry was posted in Didattica web2.0, Flipped, Literature, Uncategorized by lacimetta. Bookmark the permalink. I would like to study literature to know better the history of the language I’m studying and to know what were the poets thinking when they wrote their masterpieces. I have no expectations for our course on the English literature but I think is gonna be interesting and absolutely funny. My favorite book ever is “La gita a Tindari” of Andrea Camilleri because when I read it I fell in love at the very firsts pages. I like literature in general, I find it very interesting and even if literature in English will be more demanding, I think I’ll love it. My favourite book ever is “la solitudine dei numeri primi” written by Paolo Giordano and I love it because I find it very realistic. I want to study literature because I would like to learn new things about classics,poets,language,writing and how they changed during the years. For now I don’t have expectations for the course but I think that I will like it. To be honest,I don’t read a lot,so I don’t have a favourite book but I liked a lot “Graceling” by Kristin Cashore. I’m happy to start English literature because it is a different point of view of thinking and writing from the Italian one. I think that comparing the two would be interesting. I don’t have a favourite book but I like adventure books. I want to study literature because I find it very interesting. I don’t have expectations for the course but I think that I will love it. My favourite book ever is ” Mi hanno regalato un sogno” written by Beatrice Vio , I love it because this book gives me motivation to do the best of myself every day. I’m very happy to study literature because I really like reading books, studying them and the writer that had written them. I think that the course of Literature will be interesting. My favourite book is “Me before you” because it’s very romantic. I think that it’s very useful to study letterature because it opens your eyes and it expands your mind, changing the way you think, but also the way you see and face the world. My favourite book is “L’ amica geniale” (My brilliant friend) of Elena Ferrante because, since the beginning, I fall in love with the way she writes and tells the history waving the different events. I am very excited to learn English literature because I would like to know the evolution of the language over the years and the English classics. I love reading, it’s a hobby. My favorite books are “Anatomy of a nightmare” by James Carol and the saga of “A wonderful disaster” by Jamie McGuire. I want to study English literature because I would like to find out how writers wrote and how they thought at that time. I have no expetations for this course but I’m sure I’lI like it. My favorite book is Pride and Prejudice written by Jane Austen because I love how the author was able to convey the emotions and also because I like the love story between the two protagonists. I’m happy to study english literature because I’m curious to know new things about the history of this famous language. My favourite book is “The boy in the striped pyjamas” as I’m interested in subjects related to the Second World War. I like literature because in it there are the thought and the history of man. Literature is a thousand of emotions, moods and feelings. Ti is also a way to know and compare different point of view. I love reading because it is my way to escape from my life and my problem, and immerse myself in another story. I don’t have a favourite book, but I really liked “Novecento” by Alessandro Baricco and “E allora Baciami” by Roberto Emanuelli. My favourite genre is the novel. i would like to study literature because i want to know more about the story of people’s relationships and changing values. 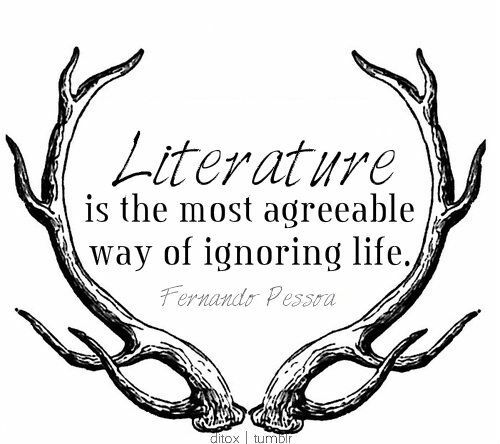 I think that literature is a big part of our world and it’s very important for us to study it. I don’t have a favourite book for the moment because there has been no book that I really liked. I can’t wait to study literature in Englis because it’s a new thing and it would be very interesting. I want to study literature to improve my vocabulary and my culture about history. I think I’ll like it because it seems interesting and it can open your mind to different cultures and points of view. I don’t have a favourite book because I don’t read a lot but I like realistic stories. I have studied english last year too, but i’m sure this year will be interesting too, because last year i don’t have studied a lot the history of this language and this year i hope to understand better this subject!! I can not wait to start the literature because I want to know more about the history of English and about the writing of English authors. I think i will like literature. I think that studying english literature will be a challenge for me and I also want to learn about the history of this language. I’m curious about how the language was born, the thoughts and the habits of the people who lived in the past. I want to study literature also to know what happened before we were born, to share different opinions together and to open my mind to new incentives. My favorite book is “Novecento” by Alessandro Baricco: it describes a reality just different than ours and I loved this book since I read it 4 years ago and I also liked the film a lot! I’d like to study literature because I think that it is very important to know the history of our country and of the language that we are studying. I hope that this course on Literature in English will be very interesting and I think I will like it. 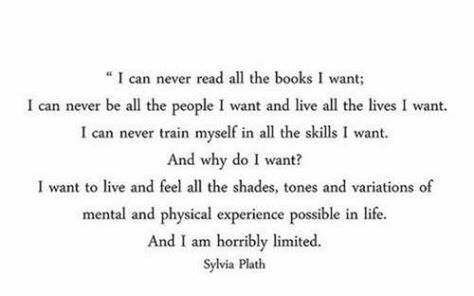 I don’t read lots books so I dont’t have a favourite one. I’m glad that english literature is part of our educational path, because adds to our cultural baggage important skills to increase our way of thinking, writing and speaking. Honestly I don’t have a favourite book, but I found interesting the novel “Everything is illuminated” by Jonathan Safran Foer, because it is different from others and has an original plot and a unique way of writing . I’m happy to study literature because i’m so curious to know new things and authors of English history. For me is very important to know the history of the lenguages and the countries so i think i will like it. I don’t have a favourite book for the moment. I would like to study literature because I find it interesting and i think that is a great way to improve the language we study. I don’t have a lot of expectations for this course, I think I will probably like it and i’m sure it will help me to learn English better. Honestly I don’t really like reading, i can hardly get interested in a story, so for now I didn’t read many, however a book that I particularly liked was “My brilliant friend” of Elena Ferrante. I hope that our course on literature in english will be interesting. I want to improve my vocabulary and know where this language comes from, but most of all I want talk more about the authors and their biography. I’ve found literature very interesting since the first class in middle school! Through literature I would like to learn new aspects about english culture and in particular how ideas changed during the years. My favourite italian author was Dante, because he had a very special and different vision of the afterlife. His masterpiece the “Divina Commedia” was my favourite work from Dante, because of the incredible use of the language and the values he wanted to shore with the future generation. For these reasons I would like to find an author, or more, who will strike me like Dante did the first time that I read the “Divina Commedia”, and I hope english literature will be as charming and interesting as the italian one for me. I really enjoy reading and one of my favourites books is “L’amica geniale”, written by Elena Ferrante. I really like the complicated friendship between the two maincharacters, because is a true one, with hights and lows, that you can find in all real relationships. I recommend all of you to read this amezing book, you will not regret it! I’m very interested to study Shakespeare (and the literature in general), because I love the theatre and I think they are connected. I love the way he writes and I love poets in general. I expect something funny and not boring, and also to improve my English and to know better the lives of these poets. My favourite book ever I think is “the infernal devices” which is part of the shadowhunters saga (fantasy genre). They are three first books (the origins) which are together and then there are other six books that are the “normal saga”. I’ve read all of them but I have fallen in love with the first ones. The story is set in London, in the 1800s and talks about a true delicate and very pure love between three guys (a girl and two boys), so there’s a love triangle. In these books there are still the virtues of a time and that deep love that unfortunately we have lost over the years. I’ve know so many wonderful characters, that will be forever in my heart. I’ve cried for it, I’ve laughed for it and I think this is the story that has managed to delve deeper into me than all the other stories. the only one that will remain engraved in my heart. I would like to study English literature because i want to improve my English, know something about English authors and how did they wrote. I’m very excited to study literature because I would like to know more about author’s lifes and more about the contest in which they wrote the poems. I think that literature is an interesting way to study history. I would like to talk also about my favorite book that is divergent. Divergent is a poem set in a post apocalyptic Chicago that is divided into 5 factions. The main character is a girl called Beatrice who has to decide in which faction wants to get into.